Digital painting tutorial Tarzan looking over the jungle. 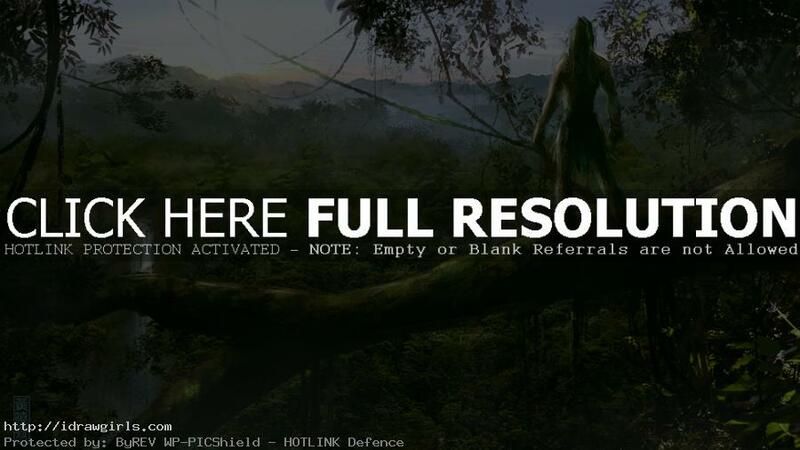 This tutorial shows you how to draw and paint an environmental concept design of Tarzan standing over the tree top and dense jungle. You can scroll down below to see step by step images with instruction. In this tutorial I start with a rough idea of a Tarzan standing over the tree trunk with vine. I first explore with dense jungle over the horizon. I am using the texture to convey materials and also light and sunrise on the horizon. Then I explore what kind of lighting direction do I want. Then I add a big tree trunk with vine and a character, Tarzan. At this stage, I only focus on big shapes, lighting and base to get the overall look and feel of the character first before I can design the detail of the costume. In this case, I chose back lighting so there wouldn’t be much detail on the character. Once you have a good silhouette with lighting and good form then we can start doing a bit more detail.